Harvey “Mr. Alameda” Garnett, the first black movie theater owner in Portland, visits the offices of the Portland Observer. 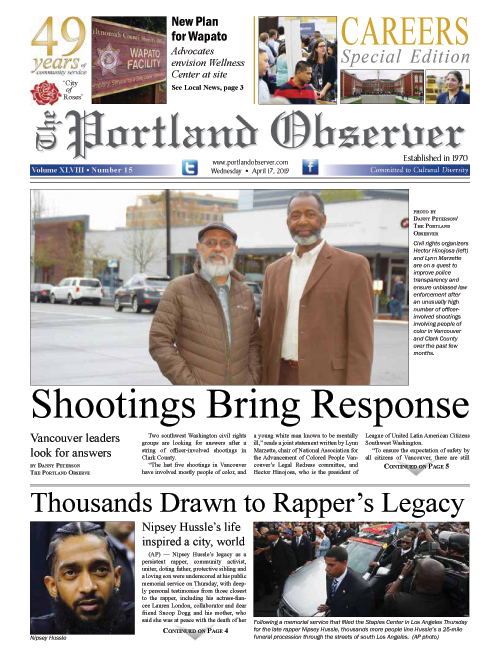 The former owner of Alameda Cinema, now the Alberta Rose, Garnett was also the first business owner to purchase advertising in the Portland Observer in 1970, the black-owned newspaper’s first year of publication. Harvey Garnett, 82, Portland first black theater owner was the first person to ever take out advertising in the Portland Observer in 1970 as the proprietor of then Alameda Cinema--now known as the Alberta Rose Theatre—located at 3000 N.E. Alberta St.